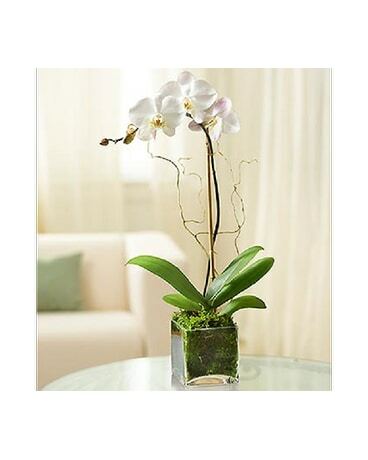 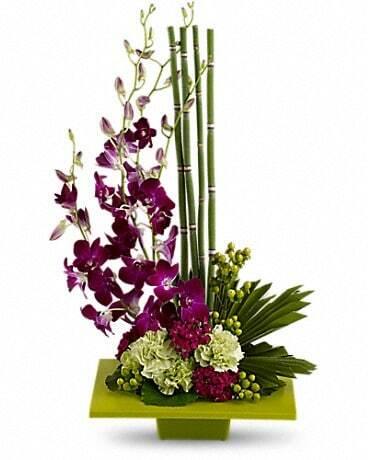 It's artistic arrangements like this one that make flowers such an integral and beautiful ingredient in feng shui. 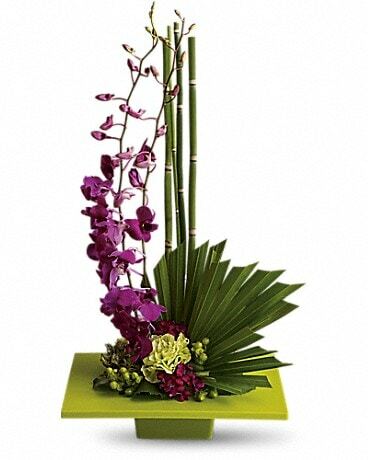 A brilliant green container and exotic palm leaf provide the perfect backdrop for purple orchids and a mix of delightful tropical flowers. 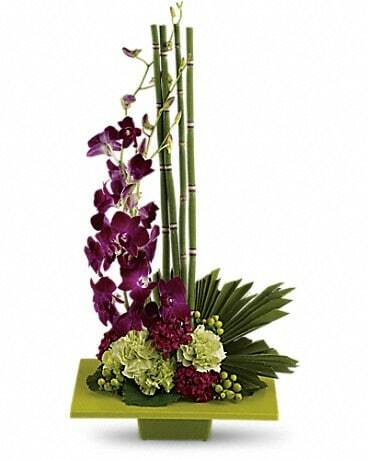 This gift takes artistry to new heights. 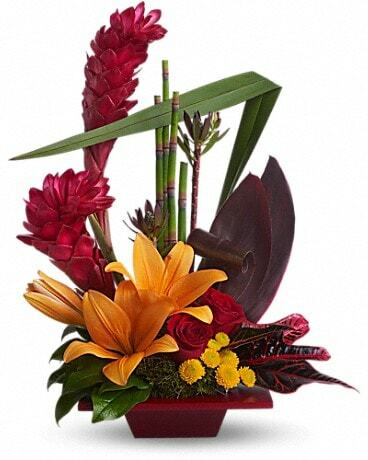 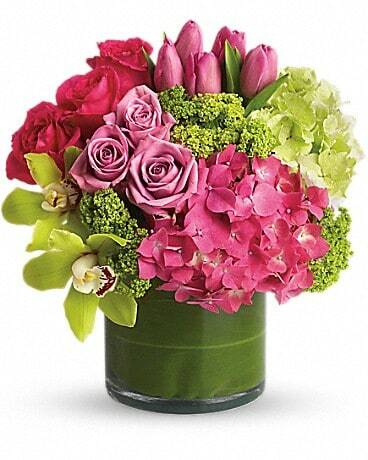 Each floral arrangement is hand-crafted and we take the time to give each one that special personal touch. 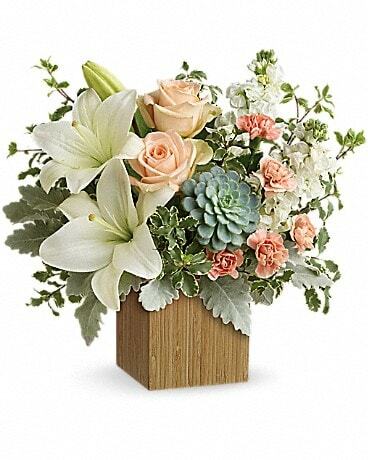 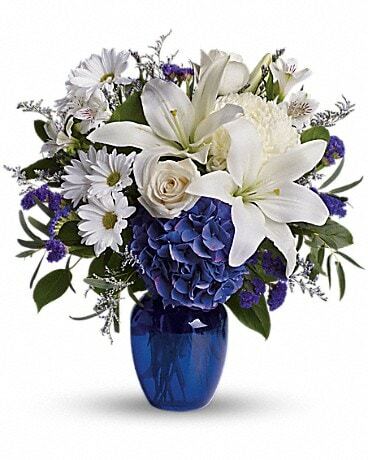 We have many floral gifts to choose from and we would love to make a custom piece personalized to your occasion. 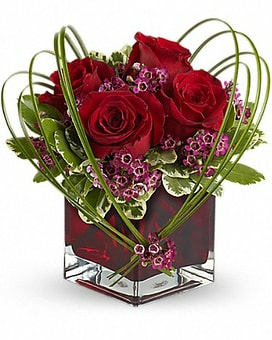 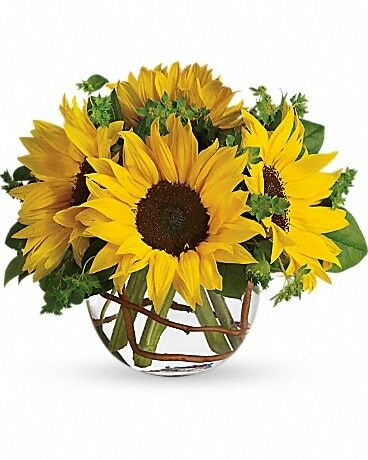 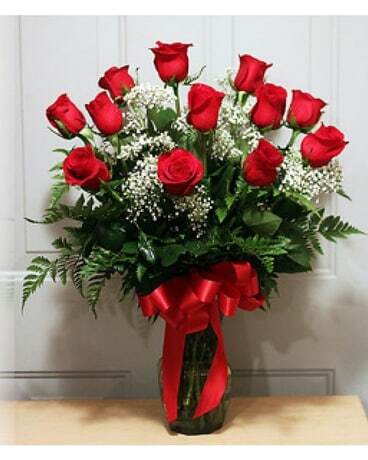 Rose Garden Florist takes pride in hand crafting beautiful fresh flower arrangements for all your special occasions with passion and attention to detail for Birthdays, Anniversaries, Valentine's Day, Mother's Day and your very special Wedding Day.